As part of Prescott & Prescott’s commitment to give back to their community, each February, the firm participates in the Juvenile Justice Educators and Trainers Program (JJET). The program is designed to function as a tool to help young students understand the ramifications of breaking the law. 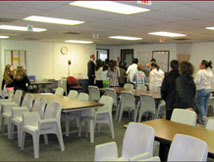 Attorney lead tours of the Juvenile District Attorneys Office, Juvenile Hall, the local courthouse, and a holding cell help illustrate the consequences of unlawful behavior. While learning about the judicial process, the regimented daily schedule of inmates and participating in mock trials, students are encouraged to make the right choice to avoid regrettable consequences. Additionally, concern for the protection and safety of victims of domestic abuse prompted Prescott & Prescott’s involvement with the Domestic Violence Program in Orange County. As an Orange County Superior Court sponsored program, volunteer attorneys assist victims in securing emergency restraining orders. 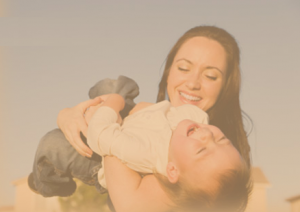 The merits of this invaluable program are outlined in, “Orange County’s Domestic Violence Pilot Project”, an article written by Tonya and Valerie Prescott published in Orange County Lawyer. Equally important is the time Valerie invests in the local community. Volunteering in the schools at a time when resources are scarce has proven to be invaluable. Her cheerful demeanor and willingness to assist teachers and administrators has helped maintain programs in the classroom. Valerie also enjoys lending her leadership skills to help organize events for local sports teams to the benefit of local families as well as her own children. Students leave to tour facilities associated with the Juvenile System. 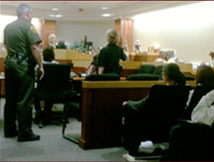 Students witness a mock trial to gain insight to legal consequences. 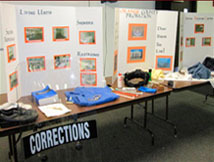 Displays help illustrate conditions within the detention environment.